You got to know when to hold ‘em, and know when to draw your six-gun and get to blastin’! This highly-detailed rulebook expands and explains all the game’s rules, including card types, actions, and how to gently convince your rivals into doing things your way. The disagreeable sorts can take a long nap in Boot Hill instead. Doomtown: Reloaded is the follow-up game to the best-selling, award-winning Doomtown card game. 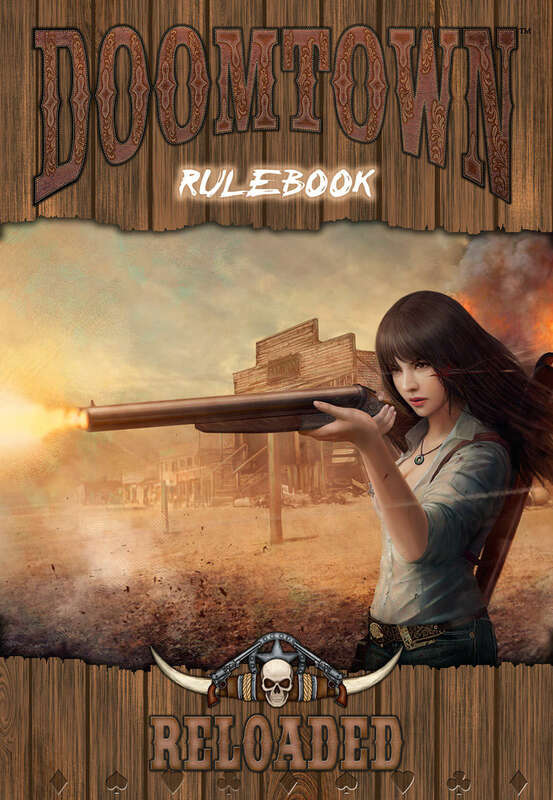 This book requires the Doomtown: Reloaded base set to play. Doomtown: Reloaded is a fastpaced expandable card game set in the Deadlands™ universe of gun slingin’, spell slingin’ and mud-slingin’! Use poker hands and card pulls for everything from gunfights to summoning abominations.